Each Training Level has minimum requirements to complete the level. Air Cadets will work towards the completion of their level throughout the training year. The Cadet’s Level Officer will review their performance throughout the year. If the Cadet has any questions about their progress, they are recommended to talk to their Level Officer. To complete their level, Air Cadets are required to maintain a minimum 60% attendance on parade nights and Mandatory and Complementary Supported Days. 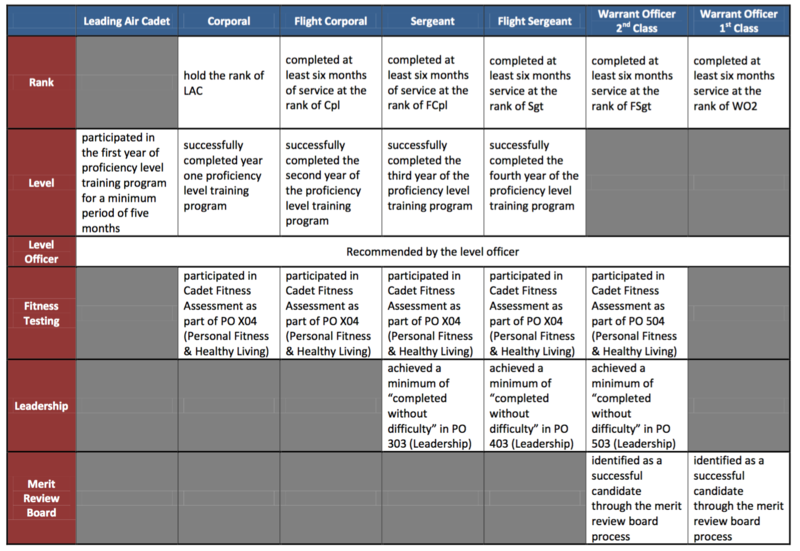 These are the minimum requirements for completion of the training level, certain activities, RDA, Optional Activities, Summer Training, etc may require prerequisites and/or due to limited availability and selection will be based on merit. The merit review process will take the cadet’s attendance, level performance, achievements, etc. Completion of a Training Level is one criteria for promotion. 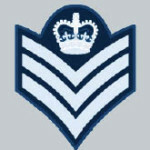 For further information on promotions, please check out the Air Cadet Ranks Section. 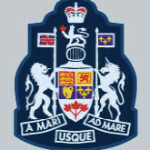 This is an unofficial web site that is not intended to represent in any way the policies or procedures of either the Department of National Defense, the Air Cadet League of Canada, or the Air Cadet League (Ontario Provincial Committee). It is not a Canadian Forces web site.